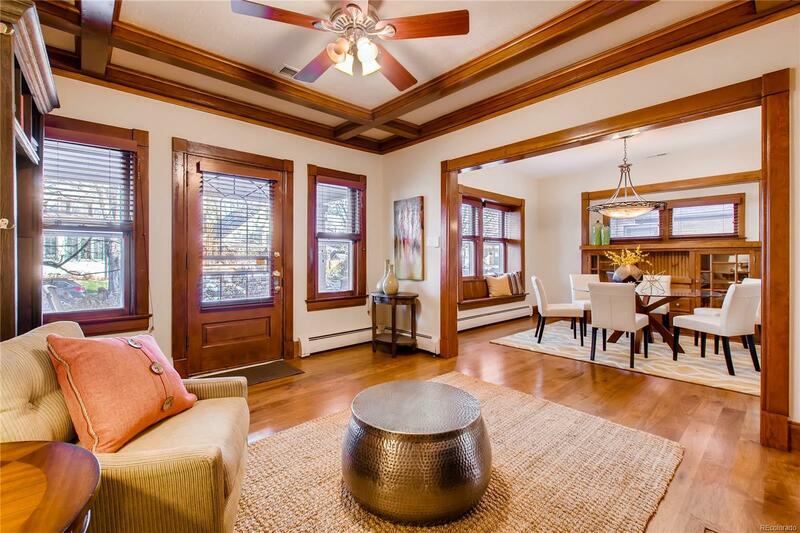 Situated in Denverâs highly-desirable Wash Park neighborhood, this charming craftsman style bungalow exudes an old-school charm. Lovingly restored, expanded, and updated to 21st century standards, the home features exceptional craftsmanship in every detail. With wide plank wood floors throughout, the interior welcomes with a warm and effortless embrace. Deceptively large, the home offers five bedrooms, two with attached ensuite on the main floor; in addition to the master. A office/exercise room is nestled in a quiet corner of the second upper floor. The main floor is a stunning open concept common area with a soaring wood plank ceiling and completely updated kitchen with a place for everything; thereâs even a secluded reading nook tucked off the main floor, perfect for a quiet afternoon with a book and glass of wine. Living in Wash Park doesnât get better than this delightful home in an established, timeless neighborhood.